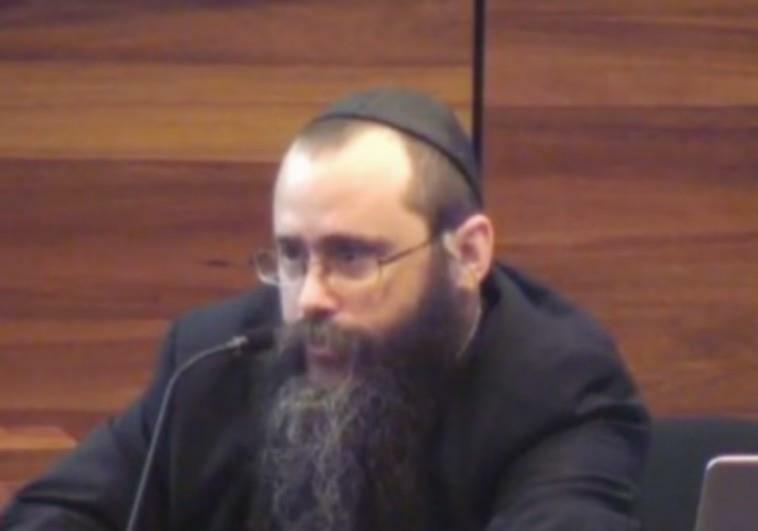 RABBI YOSEF FELDMAN testifies before Australia’s Royal Commission into Institutional Responses to Child Sexual Abuse last week (photo: screenshot). Those who spoke out after Feldman testified before a Royal Commission into Institutional Responses to Child Sexual Abuse are guilty of defamation, the rabbi told ABC. Rabbi Yosef Feldman, whose endorsement of leniency for pedophiles shocked Australia last week, hit back at his critics. Those who spoke out after he testified before a Royal Commission into Institutional Responses to Child Sexual Abuse are guilty of defamation, the rabbi told ABC, Australia’s public broadcaster. Feldman admitted that he had failed to report allegations of abuse and spoke out against media coverage of molestation cases. “I think that every single one of them that came out with an announcement is unfit to be a leader of that organization,” he claimed. He said he did not believe that what he said was wrong, even if that was the how his statements were viewed. It was this perception, rather than any wrongdoing on his part, that prompted his resignation, he explained. He did not intend to give up his position as the rabbi of a local synagogue, Feldman added. Several victims and family members testified before the commission that elements within the Chabad hassidic community worked to ostracize those who came forward and prevent public disclosures regarding abuse. On Friday, Melbourne daily the Herald Sun reported that Rabbi Meir Shlomo Kluwgant, who heads the Organization of Rabbis of Australasia, sent a text message denigrating the father of one of victim’s. Zephaniah Waks testified that three of his children, including prominent victim’s advocate Manny Waks, had been abused while in yeshiva. Following Waks’s, testimony, Australian Jewish News editor Zeddy Lawrence received a text message from Kluwgant stating that Zephaniah is killing us. Zephaniah is attacking Chabad, he is a lunatic on the fringe, guilty of neglect of his own children. Where was he when all this was happening?” Waks recounted becoming a social pariah after encouraging Manny to come forward. Addressing the commission, former Rabbinical Council of Victoria head Rabbi Yaakov Glasman said that “there are members of the ultra-Orthodox community... who don’t quite get it, who perhaps are living in a previous generation in terms of their mindset,” the Herald Sun reported. The facts that have come out before the royal commission provide a “complete justification against ultra-Orthodoxy,” Zephaniah Waks, who remains Orthodox but has split from Chabad, wrote on Facebook. A number of Australian ultra-Orthodox rabbis posted a video to YouTube on Friday calling on abusers to come forward and seek help and encouraging victims to turn to the police without fear of reprisal.